See how your home market performed last month, according to the Canadian Real Estate Association’s latest stats. The west coast’s market saw its sales take another monthly hit, following Vancouver’s 15% tax on foreign buyers. Overall, sales fell 16.7%. That drop was led by the Greater Vancouver Area, which saw its sales fall 38.5% year-over-year in October. Prices were also down, with the average home selling for $606,787 – a 9.1% decline year-over-year. Alberta remains fairly steady, with its sales increasing 4.6% year-over-year last month. The average selling price, meanwhile, jumped 1.9% to $391,692. Seven of the province’s nine major markets experienced average price declines, with the average home selling for $284,545 -- 3.4% less year-over-year. The Keystone Province saw a slight increase in prices, with the average home selling for $273,573 (+3.3% year-over-year). 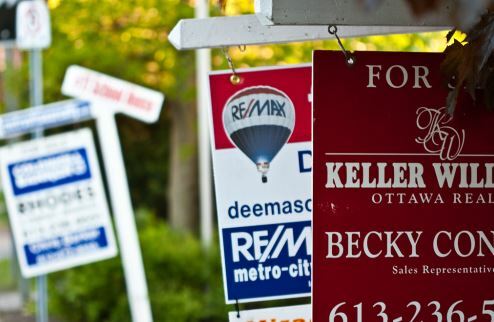 Sales were also up slightly, with a spike of 4.9% of homes exchanging hands last month. What is quite possibly the current crown jewel in real estate, Ontario is home to the hottest average markets. The average price increased 19% year-over-year to $561,896 in October, with Toronto’s average price spiking from $630,879 to $762,975 over the past year. Sales were also up, with a total of 20,853 in October. The average price fell slightly to $160,651 (-0.4%). Sales, however, were up 7.9%. A total of 588 homes were sold last month. Another steady province, NS saw its prices increase a slight 2.4% to an average of $213,046. Sales were down 3.6%, though. PEI saw some impressive price growth, with its average home selling for $189,979 last month (+17.1%). Wrapping up the cross-Canada real estate tour, Newfoundland saw its sales drop from 475 in October 2015 to 427 in 2016 – a 10.1% decline. The average price held relatively steady at $254,207 – down a slight 1.6% year-over-year.